Synonyms: Genipa americana var. caruto, Genipa barbata, Genipa caruto, Gardenia genipa, Genipa venosa. 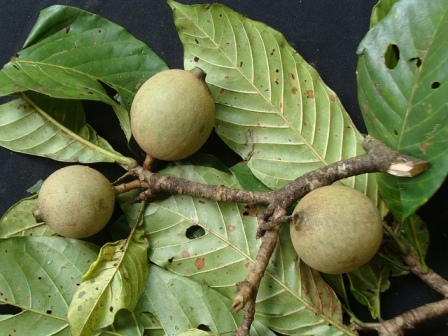 Genipa is a native of tropical and Central South America. It flourishes both on well drained soils and on periodically flooded riverbanks. 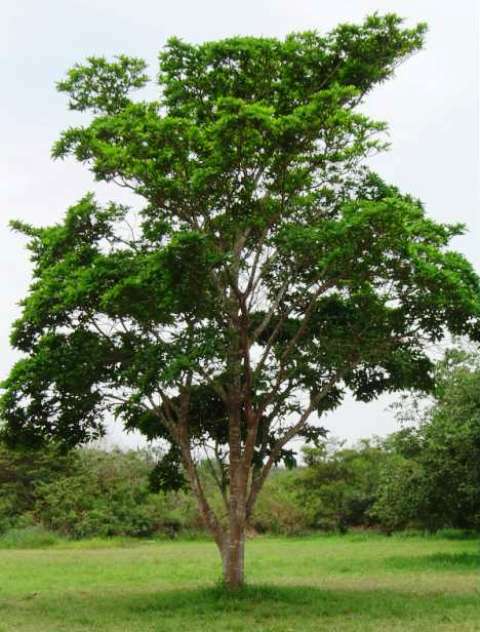 Most genipa trees are wild but it is also cultivated in home gardens. Genipa is a tall, tree, 10–20 m high. The trunk is 40–80 cm in diameter. It sheds leaves for short period. Flowers are yellow or white, about 4cm in diameter, tubular,with five petals, appearing in clusters at the base of the leaf. The fruit is globose to ovoid, 5-15 cm long, 4-10 cm in diameter, weighing 150-400g. Pericarp is white/yellowish and 2.5cm thick. The pulp contains seeds protected by mucilaginous membranes. It is the juice from this pulp that contains the active colouring ingredient ‘Genepine’. The ripened fruit is often eaten raw and is a valuable source of food for people throughout the year. The fruit is also processed to produce; desserts, jams, syrups, non alcoholic beverages and sherbets, wines and liqueurs. The fruit is also brewed into a tea and taken as a remedy for colds, bronchitis, sore throat, asthma, chest infections and other chest infections. 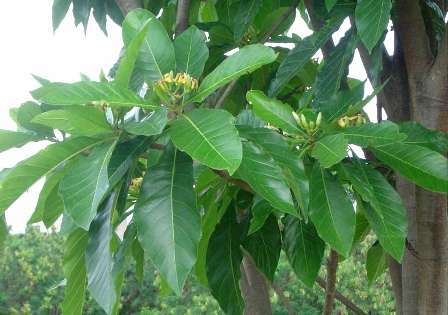 It is also said to possess antiseptic, antibiotic, anti-bacterial properties and fungicidal properties. The fruit is also used for repelling insects and protection against sunburn.